Tea brand was in effect prevented from marketing Detox product last year. 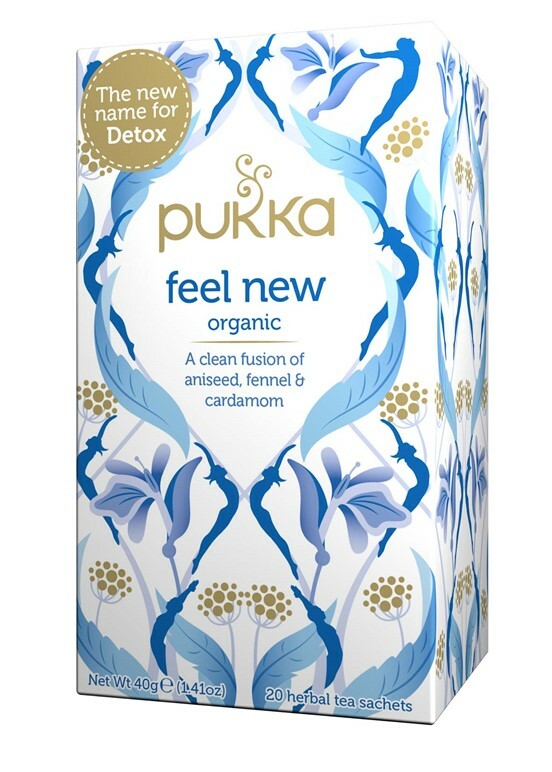 Pukka Herbs, the tea brand owned by Unilever, has relaunched its Detox herbal infusion range under a new name, Feel New, after a ruling from the Advertising Standards Authority in May last year. The watchdog banned the brand from using the word "detox" without a permitted health or nutrition claim. While this did not affect the product’s packaging, it meant the range could no longer be promoted on Pukka’s website or social media channels, or in any advertising. Pukka co-founder Sebastian Pole said the brand had already intended to change the name of the product, but the ruling had "provided impetus and opportunity to review and improve the popular blend". He added: "In recent years, unfortunately the word ‘detox’ has become misused, with many now associating ‘detoxing’ with crash dieting – something we have never advocated at Pukka. "Our aim is to strike a balance between listening to our customers and being ethically responsible and respectful of the advertising standards guidelines." Pukka was acquired by PG Tips and Lipton owner Unilever in September 2017. Co-founders Pole and Tim Westwell remain at the business as managing directors. Pukka is not the first brand to face an ASA ruling that has had consequencces for the name of a product. In 2016, restaurant chain Leon was prevented from marketing its Original Superfood Salad. It later changed the name of the product to The New Original Salad, but accused the ASA of running "a pretty indiscriminate process" due to the number of other products using the term "superfood".